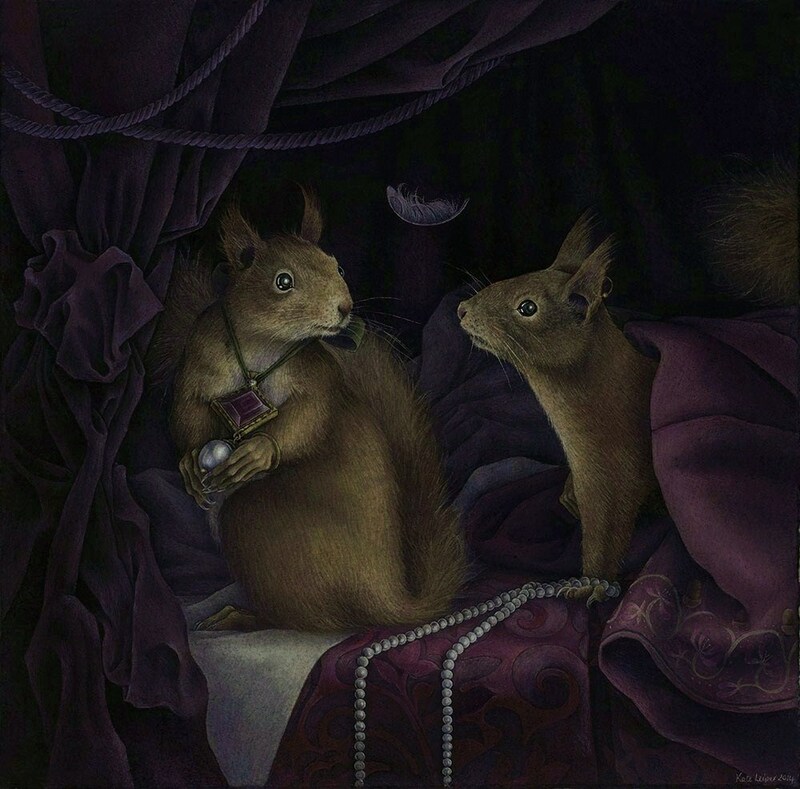 Artist KATE LEIPER’S painting captures the scene, a lady’s chamber with heavy drapes to keep away the draughts is a favoured place for the pet squirrels to hide and seek – Anne has tied the pendant around one of these intriguing little animals. The painting will be released as a limited edition print shortly (more details on Kate Leiper’s page on this website). Both painting and print can be seen later this year as part of an exhibition in the National Trust property Blickling Hall, Norfolk. More details on this site – just go to HOME page and click on the PIKE & PENDANT image!! The real pendant, valued at £4,000.00 will be won by one clever and lucky visitor to Blickling Hall.